One of my most favorite DJ groups, Tritonal, has been on tour now for almost a couple weeks now. This tour is called the Metamorphic tour and is spread all over the United States! Even though the pair have already hit up Orlando, Charlotte, El Paso, Dallas, and Miami, there are still many dates to go and many more chances to see them. Here is a little taste of what you will experience at Metamorphic. 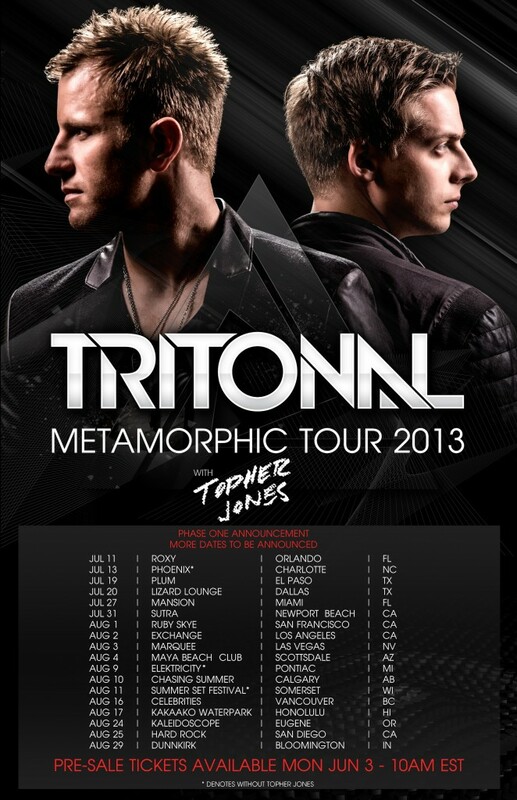 If Tritonal is coming to a city near you, you can get tickets for their events HERE! Cheers!